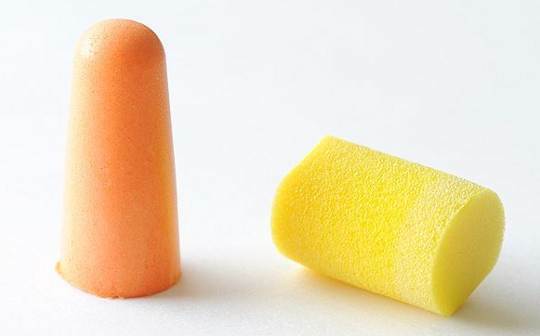 Ear protectors that muffle sound and protect the ears in noisy environments. Cylindrical foam hearing protectors that muffle sound and protect the ears in noisy environments. 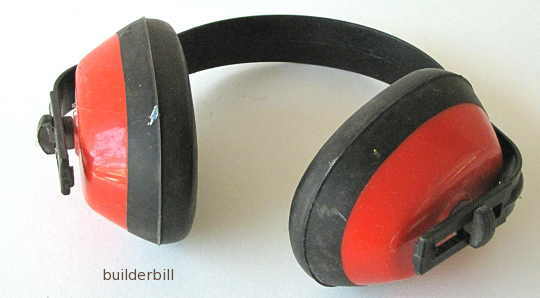 A simple pair of ear protectors. These indispensable aids come in many qualities. Pick a good pair and look after them. 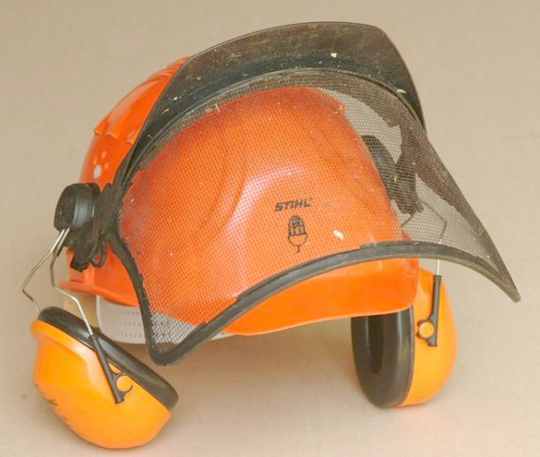 I grew up in an age when using this type of safety gear was unheard of and then when it started to arrive on the scene people had all sorts of excuses not to wear them. Iv'e worked with many noisy tools and I wish that I had used them a lot more as my hearing is about half of what it used to be. One point that nobody seems to mention about wearing ear muffs, and it has nothing to do with long term ear damage is that at the end of the day not wearing ear protection you will feel a lot more tired than you otherwise would feel and quite possibly you will have a splitting headache. A combination helmet, visor and ear protectors. Any ear protection is great and sometimes depending on the work I was doing I would use either muffs or ear plugs. Sometimes even both. The orange coloured one above come in a packet and the two of them have a string attached. The yellow ones do not have the string. The theory is to roll up the plug tightly and to put it in the ear where it will expand and form a seal. I used to stick about a 50mm length into each ear so that I could pull them out easily even with gloves on. I'd throw them away each time and use fresh. Money no object, we had a roll of the stuff. I was talking to the engineer on the job one day and he seemed to be a bit amused. I yelled at him "what are you laughing at?" He leaned forward and said "Is that one length of foam?"